What pet(s) did you have growing up? What was the breed of your pet(s)? What personality did your pet(s) have? What were some funny things your pet(s) did? What were some smart things your pet(s) did? How many years did you have your pet(s)? What are your favorite memories of your pet(s)? We will always remember the bond we had with our four legged family members and other pets. For me, it was my dog named Mack. I was 7 years old when we brought home this four year old male dog. He was trained, loyal, tender, smart and patient enough to handle eleven children. He was half lab, half Dalmatian and very in tune to our needs. He was so smart, he would walk us to the bus stop every morning and be there waiting for us when we stepped off the bus. He had different types of barks; a people bark, an animal bark and a car bark and without even seeing what he was barking at, we just knew by the sound of each bark. He also did some funny things too like biting fire. Living out in the country, we often had bonfires and for some strange reason, he would bite it and bark at it like it was an intruder. He lived 16 long years but left a forever bond. Now it's your turn. 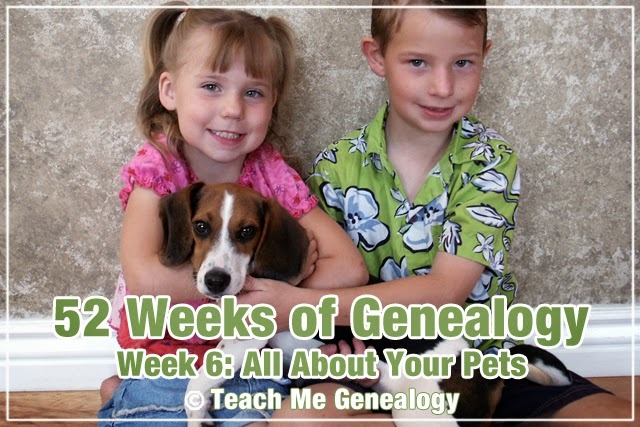 Take a moment to tell about your pets growing up and keep connecting the dots!